You might be starting your work week pondering what new opportunities will present themselves. Then again, you might just as likely be sitting at your desk dreading those very same opportunities. For many folks, seeing and being ready for what’s just over the horizon is absolutely the hardest, most gut-wrenching part of their jobs. It certainly was for me and remains so as I work with clients on their behalf. We can anticipate a good customer’s birthday (assuming we’ve taken the time to gather that data) just as easily as we can anticipate them appearing in our place of business based on past behavior. We can use that knowledge to send them a coupon or tweet birthday wishes to them. I’m still surprised how few businesses listen to all of the social streams and attempt to cull knowledge from what they’re hearing. The old-school megaphone mentality is still pervasive. Most of us in marketing need to listen more, speak less, and react more quickly to what we’re hearing. This isn’t so much predicting as it is reacting but unless you’ve taken the time to set up the processes and people required to be proactive (thereby predicting the need! ), you’ll fail. Here is my prediction. The pace of change is going to continue to accelerate. We see disruption in once unthinkable ways (the impending changes in the TV landscape, for one and the huge shift to mobile from the desktop for another). Many of us will have meetings about the future and write “long-range” plans as we do our budgets. Much of that is unnecessary. 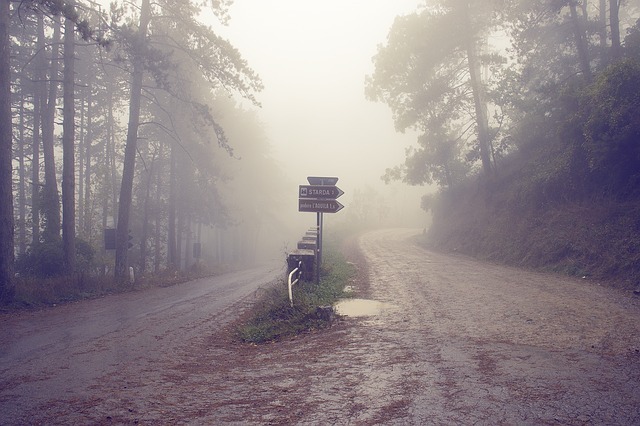 Business has become more like driving a foggy road – you can only see so far out. Pay attention to what’s visible with your past experience telling you what’s still hidden in the fog. it will become clear eventually as long as you stay on the road.